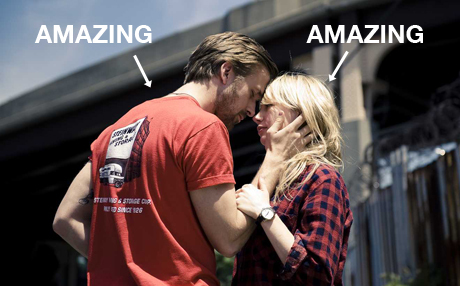 Blue Valentine provoked a veritable WORLD OF BUZZ when it premiered at Sundance back in January and it’s easy to see why. With its starring roles for Ryan Gosling and Michelle Williams and soundtrack by Grizzly Bear, it might as well have Redford’s face etched onto the poster. Fortunately, it’s by no means simply a ‘Sundance film’. Gosling and Williams are Pretty Much Perfect as the struggling couple and although early scenes lean towards the old ‘women are boring, men are fun’ routine, everything evens out nicely in the end. Other highlights include Gosling’s fake receding hairline and a nicely understated approach to flashbacks, i.e. they’re not just in black and white or really overexposed.